On Thursday, January 16, 2014, the Ponevezh Rosh Yeshiva, Harav Boruch Dov Povarsky Shlita, visited numerous yeshivas throughout our city. Young and old had the opportunity to hear words of wisdom and chizuk from a gadol of our generation. In the few days spent in Los Angeles, Rav Povarsky managed on Thursday to visit the young talmidim of the Chasidishe Cheder, give a shiur in the evening at the Kollel Yechiel Yehuda which was open to the Community, daven shacharis Friday morning with the talmidim of the Yeshiva Rav Isacsohn, and give a shiur later in the morning to the members of the Kollel Los Angeles. On Shabbos the Rosh Hayeshiva delivered a shiur in the afternoon at the Kollel Los Angeles and spent Sunday morning davening with the Beverly Hills Community Kollel, Merkaz Hatorah and then delivering a shiur. The Ponovezh yeshiva, which is located in Bnai Brak, is a world-renowned yeshiva with over one thousand talmidim. The yeshiva was led by Rabbi Yosef Shlomo Kahaneman zt”l, known as the “Ponovezher Rov”. Rav Kahaneman re-established the yeshiva in Israel and appointed Rav Shmuel Rozovsky zt”l as Rosh Hayehsiva and some years later appointed Rav Elazar Shach zt”l and Rav Dovid Povarsky zt”l as Roshei Hayeshiva. 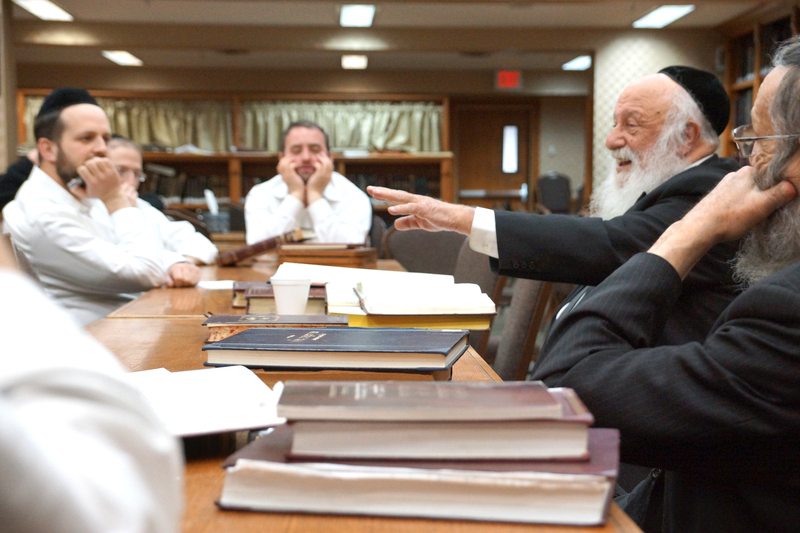 The yeshiva is presently led by Rav Gershon Eidelstein and Rav Berel Povarsky, a son of Rav Dovid, who has been delivering shiurim at Ponovezh for more than 50 years. Those who had the opportunity to meet the Rosh Hayeshiva for the first time, were duly impressed by his brilliance, inspired by words of chizuk, encouraged by his warmth, moved by his humility and honored by the privilege.